If you want to better understand how you and your organization can leverage what tech makes possible in healthcare, Techonomy Health is for you. It’s a wide-ranging day-long conference on Tuesday, May 16th for leaders about how healthcare is changing fast. How will tech shape the future of healthcare and extend it beyond medical institutions into all our lives? We mix doctors, innovators and tech industry experts, medical professionals and policy experts. At our events, we give everyone a voice for a true multidisciplinary dialogue. 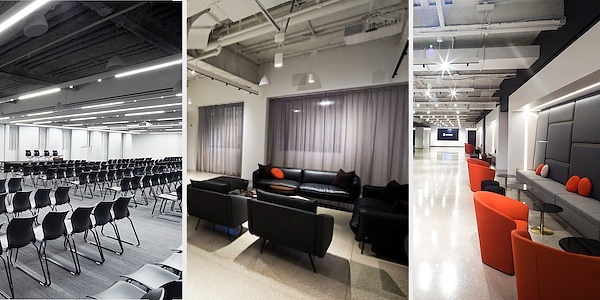 Techonomy NYC, including Techonomy Health, will take place at a superb new purpose-built meeting facility on West 46th Street just west of 6th Ave. in Manhattan. Convene includes a large plenary room as well as two large breakout rooms and several comfortable lounge areas for meetings or networking. The food is good, the location is excellent, and Techonomy is glad to maintain our reputation for high production values and a luxurious setting for our events as we inaugurate our biggest program yet in our home town of New York City. NYDLA Members Get 30% Off!